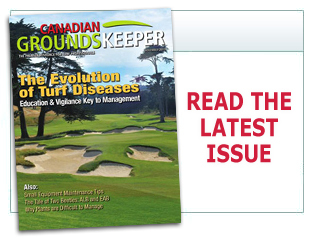 A number of Canadian golf courses made the 2013-14 list in Golf Digest�s biennial rankings of �America�s 100 Greatest Golf Courses,� which was expanded to include courses worldwide. Brandt, a Regina manufacturer of agricultural specialty products, has acquired Albion, ID-based Grigg Brothers, a developer, producer, and marketer of fertilizers and nutrients for the golf and sports turf industry. Reduce, reuse, recycle has long been the mantra of the environment movement, and its message has not been lost on Ontario�s turfgrass and garden industry as eco-friendly products dominated the 41st annual Landscape Ontario Congress, held Jan 7-9 in Toronto. 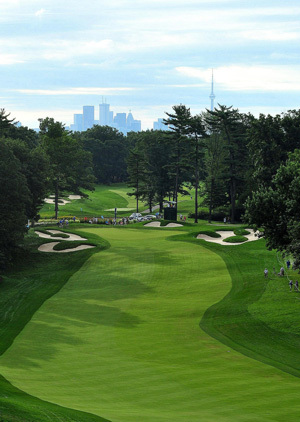 Although no courses have been announced for the RBC Canadian Open beyond this year�s tournament at Royal Montreal, Coppinwood golf course in Uxbridge, Ont., is one of the forerunners to host the tournament. New Brunswick�s Department of Transportation and Infrastructure has issued a request for proposals (RFPs) to find interested parties to help operate and maintain the Memramcook Golf Course.